Paint Your Heart and Soul 2018! Giveaway! This course is a collaboration with 24 out of this world artists and instructors, who paint gorgeous, soulful art using a unique variety of styles and techniques. There will be 48 video lessons! Each one is a full independent project, which will help you to learn and develop your own voice. We will share with you our knowledge, tips and tricks in order to create beautiful and soulful art. This course is designed for individuals of all skill levels, ranging from total beginner to more experienced artists! I haven’t quite decided upon my exact lessons yet, but I love to create layers with monoprinting and mixed media, often using plant forms. Here are some examples of my work to give you an idea of what sort of images we might be creating! Click HERE to find out more about PAINT YOUR HEART AND SOUL 2018. This course is now open for registration, and if you register by December 1st, you can purchase the course at a DISCOUNTED PRICE of only $90! that’s less than $2 per lesson! And what’s more is that I’m going to give one of you a FREE spot in the course! Comment below letting me know where you shared it! Each time you shared on different social channel I will enter your name to the draw. Each share counts as one entry – multiple entries are encouraged! I will announce the lucky winner on the 15th of September on here and my facebook page! If you’ve already paid for the course and win the spot, you will get a full refund! I can’t wait to create together! 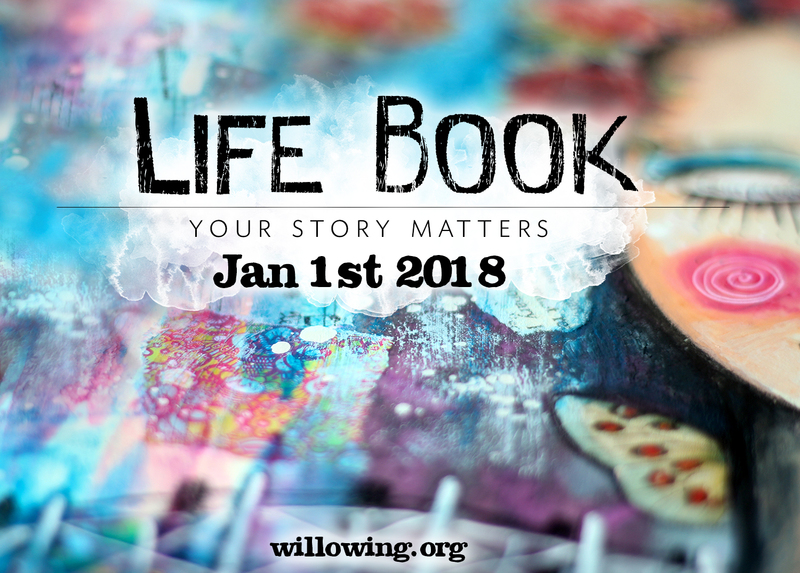 Life Book 2018: Blog hop and giveaway! Gelli Arts ® Artist Ambassador! Hi Lucy – I shared on FB. I liked your page. I already subscribe to your newsletter. Would love a chance to win a spot in Paint Your Heart and Soul 2018. Thanks for the opportunity. Fingers crossed! Hugs! and followed you on Instagram, liked you on Facebook and signed up for the newsletter. Shared on FB and I already follow you on IG, FB and email! Shared on Facebook, Instagram and Twitter. I’m already signed up for your newsletter. would love to add this course to my 2018 art journey! Thanks for the opportunity! Hi Lucy, so excited that you are in PYHaS2018! I would LOVE to win a spot… thanks for the chance! Shared on Twitter and Pinterest. PS… I already get your newsletter, am following you on IG and FB! I would love to be Part of this!!! I shared it in Pinterest! I shared on Google+. I’m following you on Instagram and liked you on FB. I’m already subscribed to your newsletter. Thank You!!! Shared on FB and already like you on FB and Instagram. Thanks for the chance to win a spot! thanks for a chance to win Lucy! I’m already subscribed to your newsletter…. Hi Lucy, I’m so pleased I found your gorgeous work via Tam. LB2018 sounds absolutely fabulous this year so I’d love to join in and continue the growth in my skills and make new online friends. Thanks for the chance to win. I’ve pinned your post, liked you on FB & Insta, and signed up to your newsletter. 😉 fingers crossed. How awesome for you to be involved in this course as well! I’ve just shared your post to my Pinterest board and just liked you on FB & Insta & signed up to your newsletter. Hoping I win a spot. I did it all; facebook post, like FB page, follow on instagram and newsletter. Looking forward to learning more about you and your Art. Paint your Art and Souls looks great. Lucy, I am so excited to have the opportunity to take/win a class in PY❤️nS 2018. Thanks. Shared on FB, Instagram, & Pinterest. Plus signed up for your newsletter. THANKS! Shared link on FB, liked your page on FB and Instagram. Attempted to sign up for newsletter but it wouldn’t admit I was human! 😀 (Anti-bot page failed.) Thanks for the chance to win! Shared on FB. Liked your pages on FB and Instagram. Tried to sign up for newsletter but it wouldn’t admit I am human! 😀 Thanks for the chance to win! Oh sorry Lisa not sure what happened there? Can’t wait… I love your art so much!! Thanks for the opportunity to win a spot. I shared on my Facebook page, my Facebook art page, Twitter, Pinterest, and Google Plus!!! Liked your pages on Facebook and Instagram. And I was already subscribed to your newsletter. I really like your art. ❤ Thank you for the chance to win! Lucy, I love your art and can’t wait for the class. I shared on FB and Twitter. Thanks! I hope I did it correctly. Instagram is a problem for me in the sense that I don’t understand how to use it, other than viewing art when I go there rarely. I’ve never noticed a place there to comment on. Love your Gelli prints Lucy; you are the master and I want to be you when I grow up, lol! I’d love to take your class even though I can only create 6″ sq. prints due to limited space. The offering of fabulous artists is wonderful. I shared the link on fb, liked fb and instagram, signed up for newsletter. Thank you. Liked on FB and Instagram and shared on Google+. Thank you! Shared on fb, followed on instagram and signed up for newsletter. Love a chance to win….thanks for the opportunity! Hi Lucy, would love to be part of the “Paint Your Heart and Soul” event. Shared on FB and liked your FB and Instagram. Hi Lucy, I have shared on Google, Facebook and Twitter. My favourite art style is whimsical and I love to play with and incorporate stencils into my work. I love to learn more and use acrylics and watercolours, I am so excited about the Paint Your Heart and Soul event. I am sure I will learn and be inspired by so many talented artists. Good luck everyone it is truly a wonderful gift to receive. I really enjoy Lucy’s method of teaching! Just the right balance of instruction and demonstration!